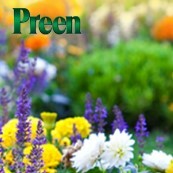 Preen Weed Control is giving you a chance to enter once for your shot at winning a garden makeover worth $2500 just in time for summer or a Visa gift card prize in their monthly drawing! Two (2) Grand Prizes: Two (2) Winners will each receive one (1) check made payable to winner’s order in the amount of twenty-five hundred dollars ($2,500). ARV of each Grand Prize: $2,500. Eighty (80) Monthly Prizes: Eighty (80) Winners will each receive one (1) $25 Visa Gift Card. The approximate retail value (“ARV”) of each Monthly Prize: $25.00.